The Hong Vina Hotel is located in District 1, the central urban district of Ho Chi Minh City, just 0.5 km from the city center and 9 km from the airport. The Hong Vina Hotel has 24 rooms with warm decor, each equipped with free wireless internet access and thoughtful amenities to ensure an unparalleled sense of comfort for even the most discerning guests. Hotel visitors enjoy 24-hr room service, a restaurant, coffee shop, executive floor, airport transfer, concierge, laundry service, tours, and a smoking area. For sightseeing options and local attractions, one need not look far as the hotel enjoys close proximity to the Fine Arts Museum, Le Cong Kieu, and the Hong Kong Business Association. Hong Vina Hotel in Ho Chi Minh! The An Lam Saigon River Private Residence is located on the beautiful Saigon River, 7.3 km from Tan Son Nhat International Airport, and 17.2 km from Long Thanh International Airport. This hotel has 15 beautiful rooms, some with river-views, equipped with complimentary bottled water, bathrobes, a hairdryer, LCD/plasma screen TV, as well as free wireless and LAN internet access. Guests of the hotel can enjoy on-site features including the restaurant, bar, coffee shop, concierge, pool-side bar, room service, airport transfer, babysitting, and laundry service. There are many recreational activities within the hotel as well including an outdoor pool, fitness, sauna, spa, and massages are available. 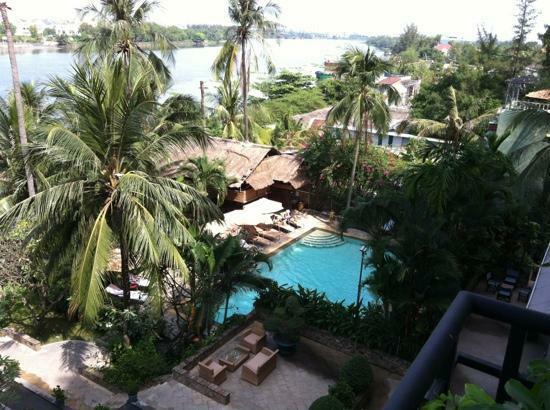 An lam Saigon River Private Residence in Ho Chi Minh! 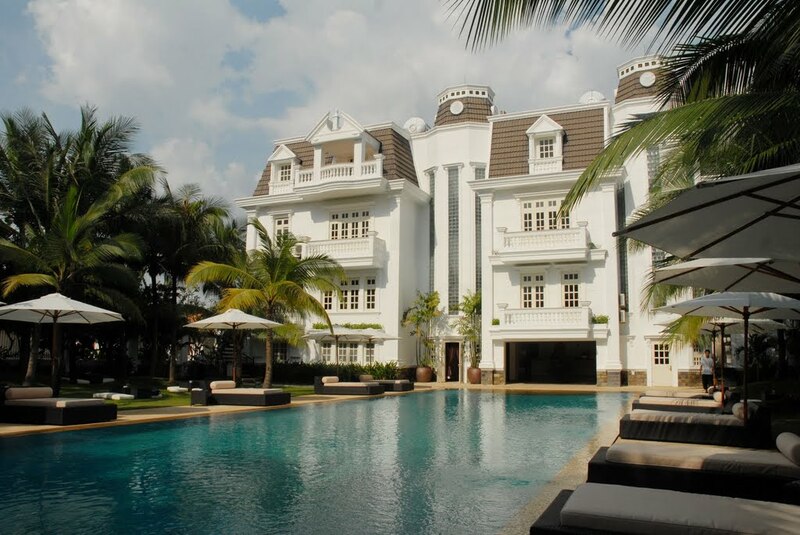 The Villa Song Saigon (Saigon River Villa) is an exquisite hotel located 8 km from the city center, 7.7 km from Tan Son Nhat International Airport, and 19.5 km from Long Thanh International Airport. 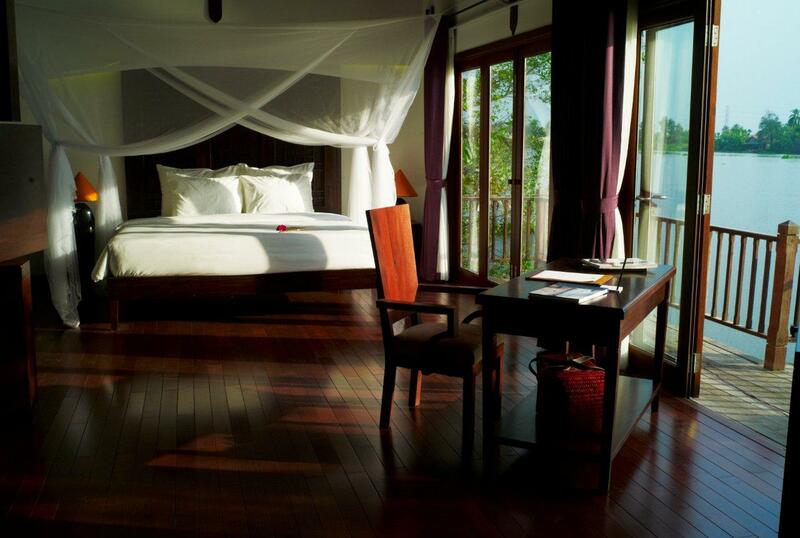 The Villa Song Saigon has 23 rooms which provide a warm and pleasant home away from home, some with river views. The recreational facilities are also wonderful and they include an outdoor pool, fitness center, garden, sauna, spa, and massages are available. Nearby attractions include Thao Dien, the Binh Quoi tourist area, the Him Lam Golf Driving Range, Botanic Gardens, and the Van Thanh tourist area. 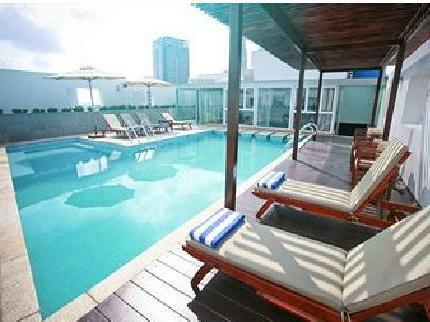 Villa Song Saigon is an ideal place of stay for travelers seeking charm, comfort and convenience in Ho Chi Minh City. Villa Song Saigon Saigon River Villa in Ho Chi Minh! The Hotel Majestic Saigon, built in 1925, is a five-star hotel and historical landmark of stunning French Colonialist design located 6.5 km from the Tan Son Nhat International Airport and 25.1 km from Long Thanh International Airport. Boasting 175 guest rooms, either overlooking the Saigon River or the swimming pool, each room is decorated with warm, welcoming touches of historical elegance and modern convenience. Nearby attractions include Dong Khoi Street, the Aqua Day Spa, Nguyen Hue Street, and Thuong Xa Tax. Throughout its rich history, the hotel has been host to famous authors, heads of state, the Japanese Imperial Army, espionage agents, and now you can join this league of satisfied guests of the Majestic Saigon. Majestic Hotel Saigon in Ho Chi Minh! The Liberty Central Saigon Centre Hotel is centrally-located in Ho Chi Minh City's District 1, the central urban district, just 0.3 km from the city center, 2.6 km from Saigon Railway Station, 6 km from Tan Son Nhat International Airport and 25.4 km from Long Thanh International Airport. 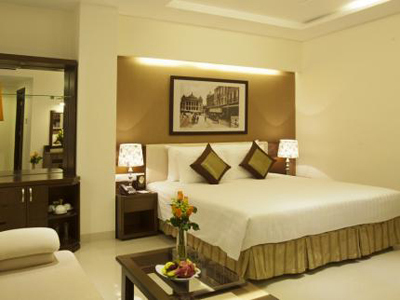 The Liberty Central Saigon Centre Hotel has 140 decorated with a simple and understated touch. Guests also enjoy access to a poolside bar, restaurant, coffee shop, executive floor, and bicycle rentals. Nearby attractions of the Liberty Central Saigon Center Hotel include the Ben Thanh Market, Saigon Square, Pho 2000, and the Saigon Centre. Liberty Central Saigon Centre Hotel in Ho Chi Minh! The Grand Silverland Hotel & Spa is centrally-located for easy touring access to the city's must-see destinations at just 1 km from the city center, and 7.3 km from Tan Son Nhat International Airport. All 89 guestrooms are warm and inviting, each equipped with a bathtub. The hotel's fitness center, outdoor pool, on-site golf course, and spa are ideal places to relax and unwind after a busy day of sightseeing. Guests also enjoy a wide-range of facilities including a restaurant, bar, coffee shop, a poolside bar, a salon, car hire, currency exchange, 24-hr front desk, concierge, 24-hr room service, dry cleaning and laundry service, and a business center. Nearby attractions include the Ben Thanh Market, the Consulate of Korea, and the Cho Dem Night Market. Grand Silverland Hotel & Spa in Ho Chi Minh! 1.3 km from Saigon Railway Station, 3 km from Tan Son Nhat International Airport, 4 km from the city center, and 26.2 km from Long Thanh International Airport. 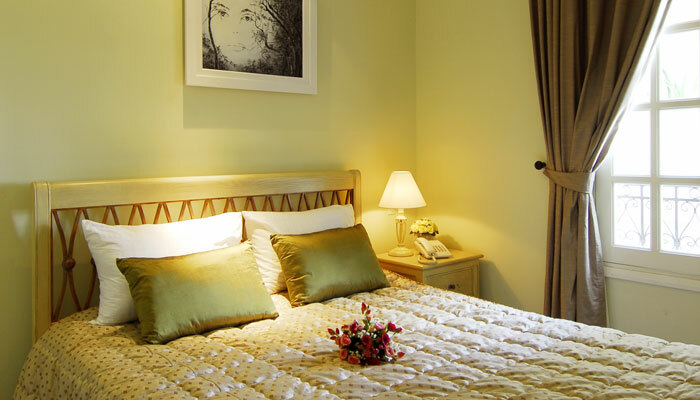 Ma Maison Boutique Hotel Saigon has 14 rooms featuring cosy, elegant decor that welcomes every traveler with modern amenities. Guests of the hotel enjoy access to the on-site restaurant, coffee shop, garden, room service, business center, tours, concierge, and airport transfer. 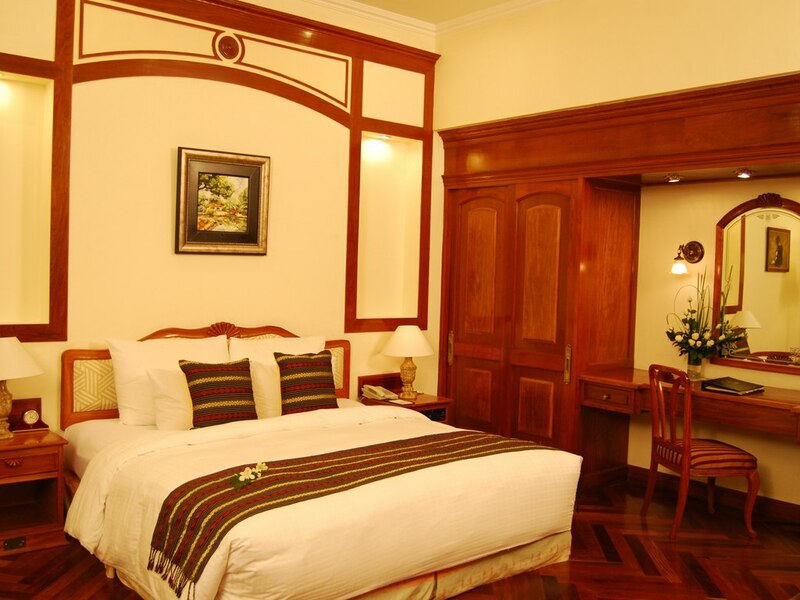 Nearby attractions of Ma Maison Boutique Hotel Saigon include the War Remnants Museum, the Golden Dragon Water Puppet Theatre, Chi Hoa Prison, Ben Thanh, and Reunification Palace. Ma Maison Boutique Hotel Saigon in Ho Chi Minh! 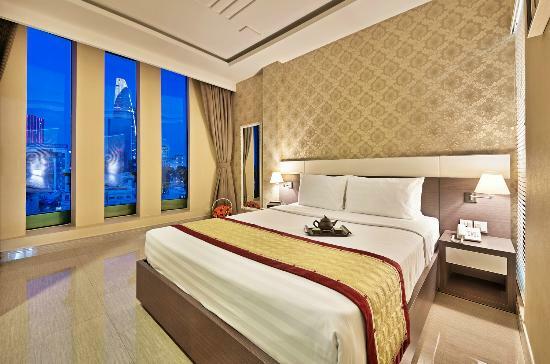 The Saigon Domaine Luxury Residences is located in the most central district of the bustling Ho Chi Minh City, the Binh Thanh District, ideal for sightseeing as well as travel from Tan Son Nhat International Airport which is 7.1 km away. All 45 guestrooms are spacious, traditional, and elegantly-designed apartments which feature individual air-conditioning systems, solid granite counters, Siemans kitchen appliances, marbled bathrooms, a separate shower and bathtub, as well as dining tables. The flawless 4.5 star property also offers recreational facilities. Nearby attractions of the hotel include the Binh Quoi tourist area, Van Thanh tourist area, Him Lam Golf Driving Range, and Botanic Gardens. Saigon Domaine Luxury Residences in Ho Chi Minh! The TajmaSago Castle, located in Ho Cho Minh City 15.6 km from Tan Son Nhat International Airport, is a 5 star luxury hotel set on the banks of Crescent Lake where guests can enjoy views of the water or the gardens on the vaulted balconies. 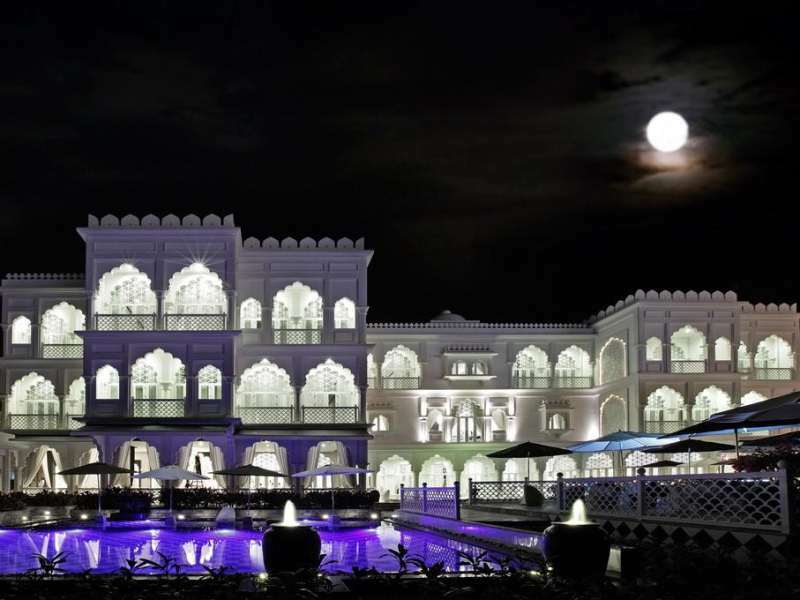 This hotel features 19 luxuriously-appointed guest suites, decorated with bas-relief, stone inlay carvings, and refined calligraphy panels, as well as contrasting tiles, tessellating blocks and intricate screens, all creating the atmosphere of a traditional Indian palace. The TajmaSago Castle is where guests can enjoy old-world elegance blending with modern convenience. Nearby attractions include the Parkson Paragon, the Saigon Exhibition & Convention Center, and the Saigon Skydeck. Tajmasago Castle in Ho Chi Minh! The Alagon Hotel Saigon is located in the city center of Ho Chi Minh City, in District 1, just 5.8 km from Tan Son Nhat International Airport. The Alagon's 56 guestrooms include a TV, shower, hair dryer, non-smoking rooms, desk, and free wireless internet access. Hotel guests can enjoy the on-site restaurant, 24-hr room service, airport transfer, laundry and dry cleaning service, as well as recreational facilities including a spa, fitness center, and Jacuzzi. Nearby attractions include the Zen Plaza, Nguyen Du Stadium, 23/9 Park, the Mariamman Hindu temple, Ben Thanh Market, and Delta Adventure Tours. Alagon Hotel Saigon in Ho Chi Minh!